Canada’s Michael van den Ham grew up riding gravel roads near his Alberta home, so it is not much of a surprise he has embraced the modern version of gravel riding this year. Van den Ham started his season at the Land Run 100 and has had a couple good battles with his Garneau-Easton teammate Craig Richey on the backroads of British Columbia. When Van den Ham kicked off his gravel racing this year, he did so on his carbon Garneau Steeple XC cyclocross bike. When I interviewed him in April, he said he was happy with his Steeple as a crossover, and he did not necessarily see a gravel bike in his future. Garneau touts that bike’s versatility and ability to handle cyclocross and gravel racing, but is not a bike sponsor for Van den Ham’s offseason. Then Van den Ham got the chance to ride the Lauf True Grit gravel bike outfitted with the Lauf Grit SL suspension fork. Not surprisingly, he did not say no. 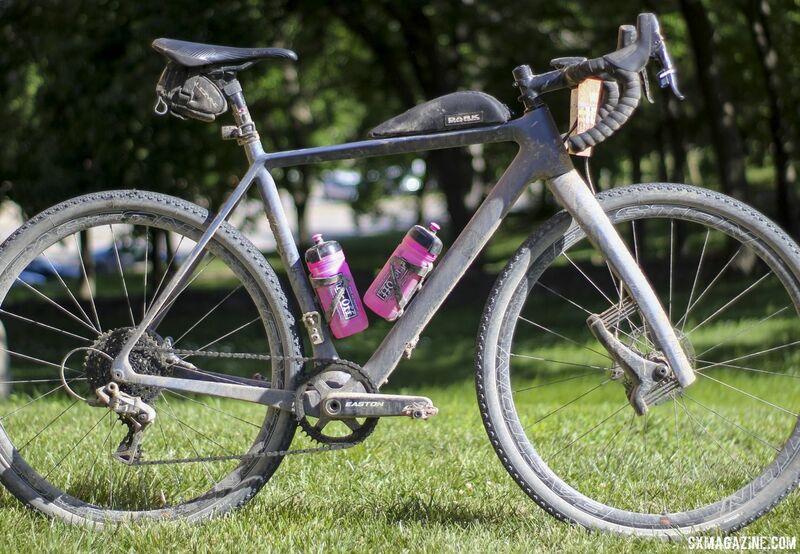 The Canadian Cyclocross National Champion had his new carbon gravel bike at the start line in Emporia, Kansas for the 2018 Dirty Kanza 200 last month. Van den Ham would complete his debut DK200 ride in 21st place in the pro men, with a time of 12:15:42. I met up with Van den Ham on the morning after the race to take a closer look at his True Grit before he washed away the grit to get it ready for the trip back to his Northwest home. The Lauf Grit fork made a splash in the gravel world, thanks in large part to its unique approach to gravel front suspension, which we recently reviewed. 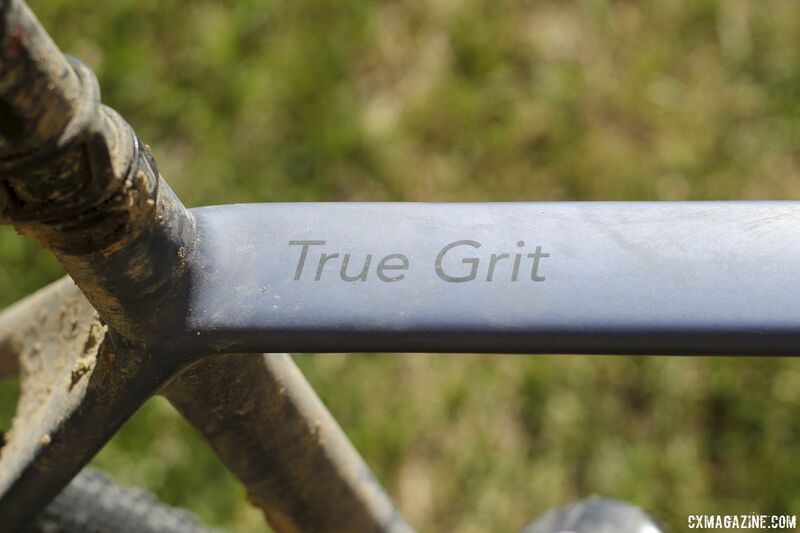 The True Grit is Lauf’s front suspension gravel bike counterpart to the fork. 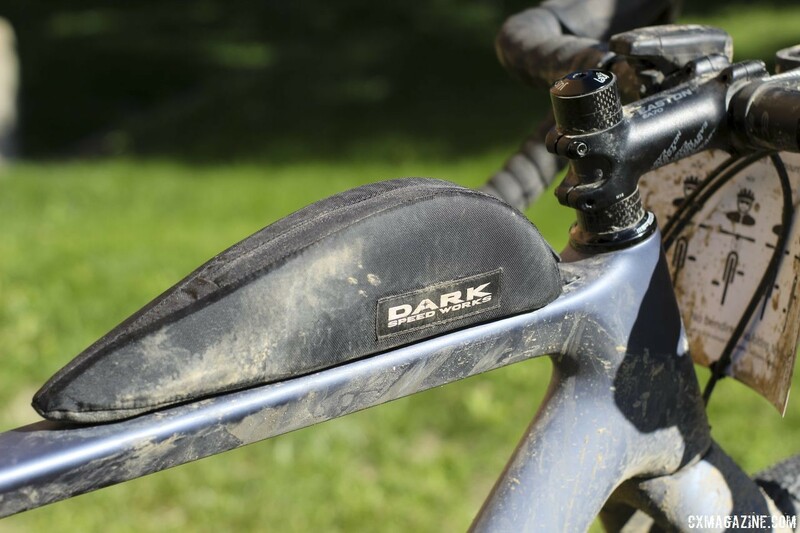 The carbon Lauf True Grit frame features a slack 70.5-degree front end and modern amenities such as 12mm thru-axles and flat mount disc brakes. The bike comes with the Grit SL suspension fork that the company claims is lighter and stiffer than the standard version. Van den Ham rode the “Race Edition” of the True Grit with a SRAM Force 1 drivetrain. The Force 1 model is the “Weekend Warrior” edition, if the reader was wondering. 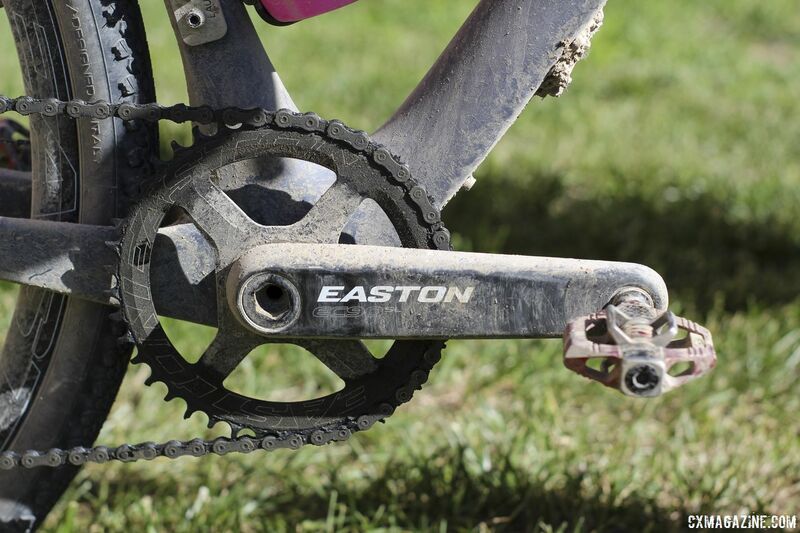 An Easton-sponsored athlete, he ran an Easton EC90SL crankset with a 42t Cinch chain ring. 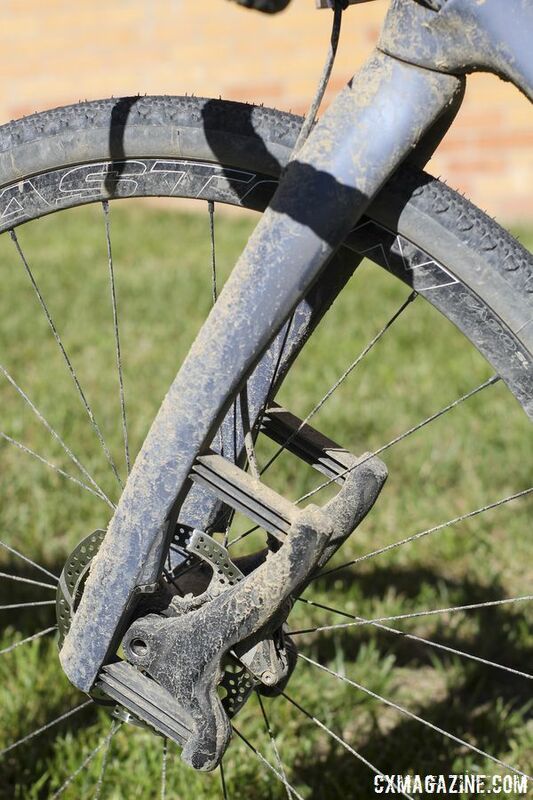 He paired it with a SRAM XD 10-42t cassette in the rear to give himself a wide gear range. Some of those gram savings were eaten up by the small bottle opener Lauf puts on its 1x True Grits in place of the front derailleur. “I haven’t used it yet, but I’m sure I will one of these days,” Van den Ham said when asked if he has employed it yet. 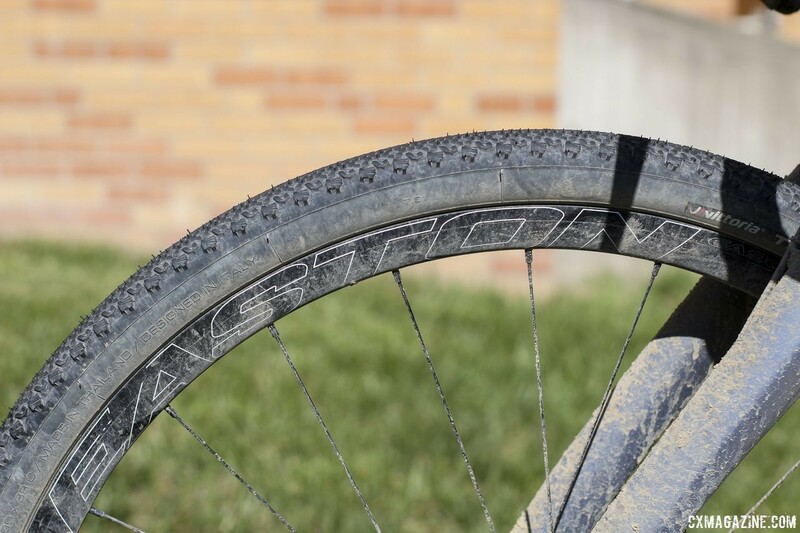 Van den Ham’s other Easton-sponsored colleagues at the Dirty Kanza 200 were split on their wheel material choices. Craig Richey ran a carbon prototype wheelset, while Amanda Nauman ran the alloy EA90SL set. Van den Ham joined Nauman on team aluminum with a set of EA90SL wheels. As we will see shortly, his choice of alloy wheels was likely a good one. For tires, Van den Ham went with the 700c x 40mm Vittoria Terreno Dry model. Like many others during the trip through the Flint Hills, he was unable to avoid the wrath of the Kanza gravel gods. 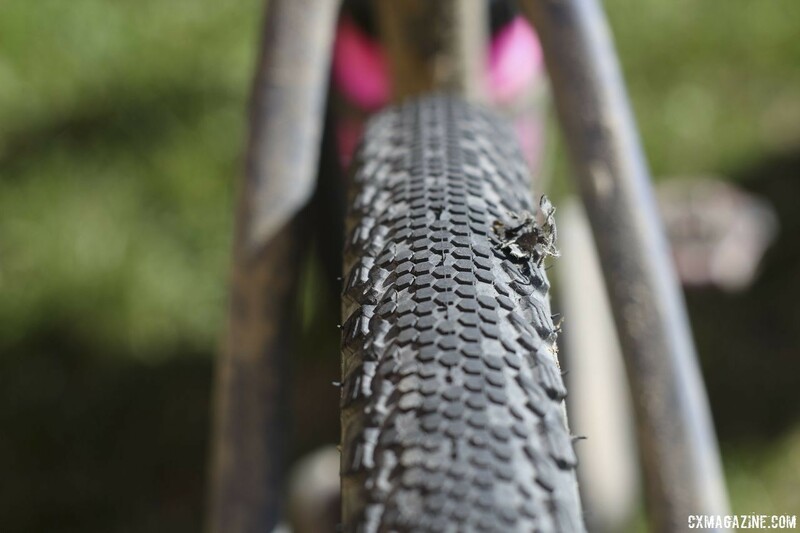 Would such an impact have ruined a carbon rim? It’s hard to know, but Van den Ham made it to the finish line with his equipment and by being prepared. Van den Ham rounded out his bike with Crankbrothers Candy 7 pedals, an SDG Duster saddle, Easton EC70 AX flared handlebar and an Easton EA70 stem. 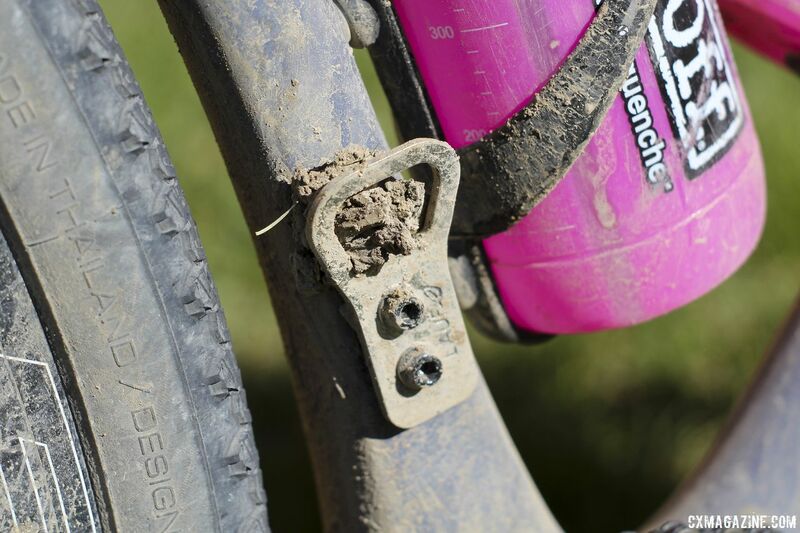 For more on Van den Ham’s 2018 Dirty Kanza 200 Lauf True Grit, see the photo gallery and specifications below. 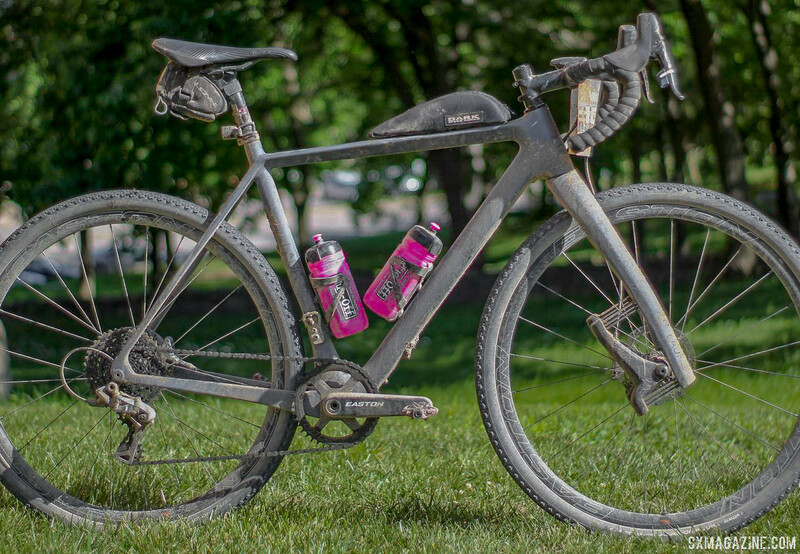 For more bike profiles from the Dirty Kanza 200 and Lost and Found, see our ever-growing gravel bikes archive.